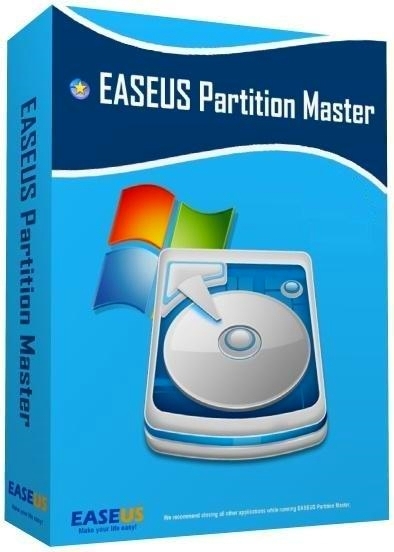 EASEUS Partition Master - это многофункциональная программа для разбиения жёсткого диска на разделы, с помощью которой можно не только упростить различные задачи, но и быстро редактировать разделы диска и управлять ими, а так-же удалять, создавать и форматировать разделы, изменяя их размер и расположение без минимальной потери данных, с использованием свободного места на диске. К наиболее привлекательной функции относится способность изменения размера или перемещение ваших разделов, используя свободное место, без удаления данных. • Поддерживаются тома GPT – разделение GPT диска, копирование GPT диска, восстановление диска и т.д. • Hot! Resize/Move partitions to avoid data loss, like extending NTFS system partition without reboot to maximize PC performance. • Hot! Safely merge two adjacent partitions into a bigger one without data loss. • Create multiple-partitions, delete partition, or directly delete all partitions. • Wipe data on unallocated space. • Wipe disk or wipe partition to permanently wipe sensitive data on disk. • Convert dynamic disk to basic disk and Convert FAT to NTFS file system. • Convert primary partition to logical partition and vice versa: convert a primary volume to logical to create a fifth volume on a disk with 4 existed primary volumes. • Speed up your computer by defragmentation. • Disk surface test to check and find bad sectors and rebuild MBR to boot system again. • Linux partition management: delete, create, format, recover EXT2/EXT3 partition, etc. • Support all hardware RAID, multiple removable storage device, hard disk and GPT disk (support up to 2TB partition on MBR and 4TB partition on GPT). • Copy partition with fast file-by-file copy to protect your data. • Copy entire hard disk to another without Windows reinstallation. • Hot! Upgrade system disk to a bigger one with one-click. 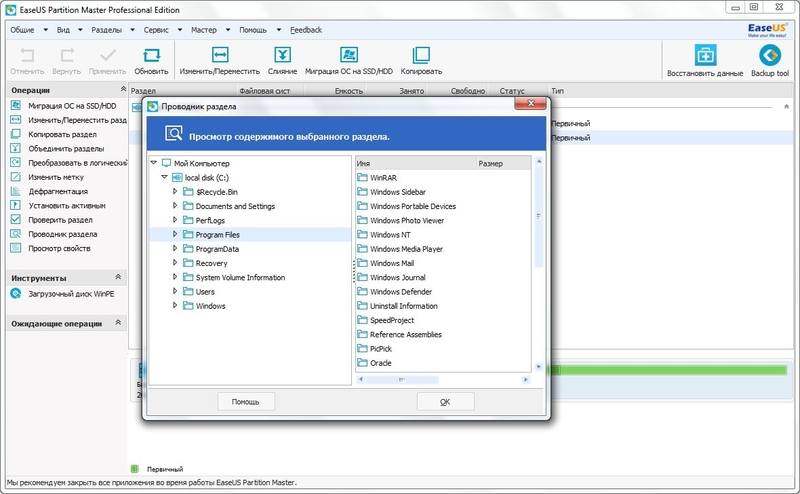 • Safely copy dynamic volume to basic disk and resize the basic disk, etc. • Support GPT disk/partition copy. • Provide option to shut down the computer after applying any operation. This function is especially useful when you copy the disk which contains the operating system. • Before performing copy operation, "chkdsk" function automatically checks the file system and fixes the errors if any. This feature makes copy operation faster and more stable. • Partition Recovery Wizard completely protects your partition, allowing you to recover deleted or lost partitions from unallocated space due to any personal, hardware or software failure or virus attack. • Recover deleted or lost partition on unallocated space or recover lost partition after repartitioned hard drive. • Two recovery modes in Partition Recovery Wizard: Automatic recovery mode is easy to use and requires minimal effort; Manual recovery mode gives you full control of the recovery process. • Supports FAT, NTFS, EXT2 & EXT3 partition recovery. • Compatible with Windows Operating System based on GPT drive and UEFI/EFI boot, especially for Windows 8. • Hot! Safely merge adjacent partitions into one without data loss. • Automatically or manually Create, Delete, Resize/Move, Merge, Split, Wipe or Format partitions. • Copy Wizard to copy partition or migrate entire hard disk to another without Windows reinstallation. • Partition Recovery Wizard to recover deleted or lost partitions. * Manage dynamic disks better – resize, format, move dynamic volumes and convert basic disk into dynamic. * Disk partitioning on large capacity hard disks of any sizes. * Simplify disk cloning process to get it done faster. * Make target disk same as the original one after cloning and solve bootable issue. * Improved: Reduce the size of installation package. * Improved:Optimize the resize and other functions to avoid some operations needs rebooting to execute. * Bug fix: Deleted dynamic volume would reappear after refresh in WinPE bootable disk environment. - Stability improvements on partition merge function. - Ability to modify drive letter and volume label. - Resize dynamic volume which is distributed on both GPT and MBR disks with WinPE boot disk. - Multiple other fixes and improvements. - Resize/Move partition faster with better performance. 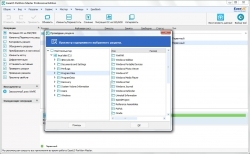 - Support to resize and move EXT2/3 partition.